One of the treks that pass through the dense deodar forest of Khajjiar in Himachal Pradesh is the Dalhousie - Kishtwar trek via Sach Pass, which is at an elevation of 4,890 meters. The high altitude mountain pass forms the bridge between Chamba valley and Pangi valley and lies on the Pir Panjal Range of the Indian Himalayan region. The Sach Pass is also the shortest route to Killar, which is located in the deep and narrow gorge of Chenab River and is the headquarter of Pangi valley. The secluded town also stands as a base for several trekkers journeying to Kishtwar. 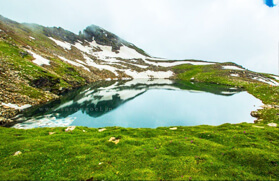 The Dalhousie - Kishtwar trek via Sach Pass contributes towards the travellers' diary with depiction of the beautiful and rich forest, gurgling streams, remote villages, narrow tracks and steep climbs. Though it is one of the easy to moderate treks in the Himachal Himalayan region, the gradual ascent towards Sach Pass sometimes baffles the amateur trekkers. In other words the trek occupies the mind of travellers with the soothing and serene climate and perfumed and colourful nature. The Dalhousie - Kishtwar trek via Sach Pass commences from Dalhousie and heads to Khajjiar through the dense deodar forest. One will also come across an old temple and golf course having nine holes. The route from Khajjiar turns to Chamba, which is 18 kilometers down from Khajjiar. At Chamba one can even visit the Lakshmi Narayan Temple and Bhuri Singh Museum. 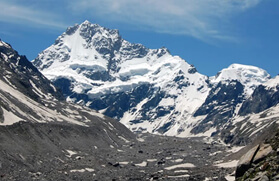 The steep climb starts from Tarella, which is approximately 8 hours of drive from Chamba, and the track leads to Satrundi that lies at 3,400 meters. 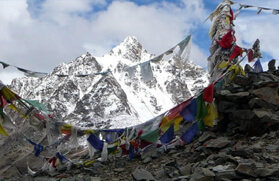 From Satrundi there is a gradual climb towards Sach Pass and from there a steep descend to Bindrabani at 2,800 meters cutting through the narrow, rocky, crazy and snaky path. 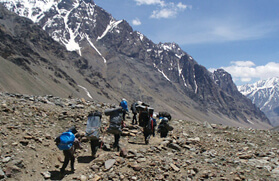 The trail from Satrundi to Bindrabani via Sach Pass is the most difficult part of the journey. The trek further continues to Killar via Bagotu and heads towards Atholi via Ishata. The journey to Kishtwar, which is at an elevation of 1,525 meters, via Shasho at 2,287 meters followed by Galhar at 2,288 meters follows a subtle path leveling the bed of beautiful grassland. The best time to hit the trailing track from Dalhousie to Kishtwar via Sach Pass is during the summer season. 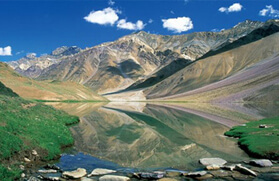 The journey also requires a day of acclimatization before commencing the climb towards Sach Pass. Dalhousie to Khajjiar (Ht. 1951 m) Distance 20 km. Walking through forests. At Khajjiar visit old temple nine hole golf ground a beautiful lake surrounded by dense deodar trees. Khajjiar to Chamba (Ht.996 m) Distance 18 km. Steep going down with beautiful view. Visit Chaugan, Lakshmi Narayan Temple and Bhuri Singh Museum. Chamba to Tarella (Ht. 2000 m) Distance 8 hrs. Via Tisa by Bus passing through green fields, villages and Chamera Hydle Project. Tarella to satrundi , (Ht. 3400 m) Distance 16 km. Steady climb. This area has wild flowers in summer season. Satrundi to Bindrabani, (Ht. 2800 m),Distance 18 km. Gradual climb to Sach Pass which remains open from June to October, Decend to Bindrabani. Bindrabani to Killar, (Ht. 2600 km), Distance 16 km. , Going down hill Via Bagotu. 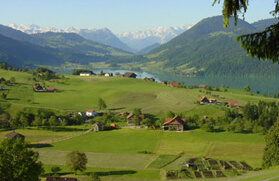 Halt, to visit nearly village and enjoy the views while resting and relaxing. Killar to Ishatahari (Ht.2226 m) Dist. 27 km. , Down and level walking via Dharwas. Ishata to Atholi , (Ht. 2225 m) Distance 22 km. , Level walk via Shol. Atholi to Shasho (Ht. 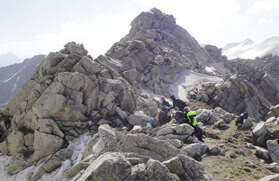 2287 m) Dist. 14km. , Level walk. Shasho to Galhar (Ht. 2288 m) Distance 22 km. Level walk along Chenab River. 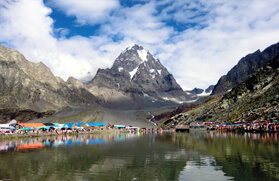 Galhar to Kishtwar (Ht.1525 m), See Kishtwar town in the afternoon and then proceed to Jummu.